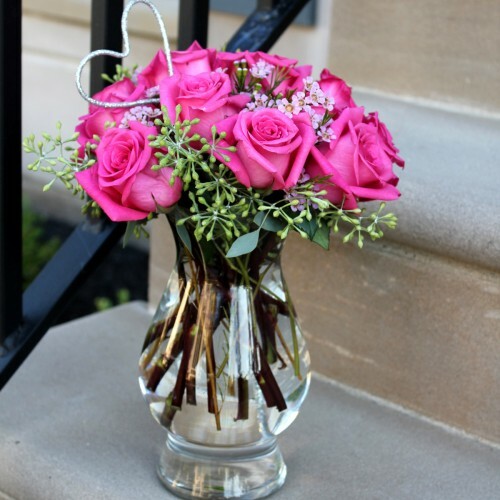 Our "Basic Beauty" arrangement is perfect for enhancing the feeling and decor in any household, busi..
April's cute "Think Pink" floral arrangement is a classic design of a dozen pink roses, complem.. 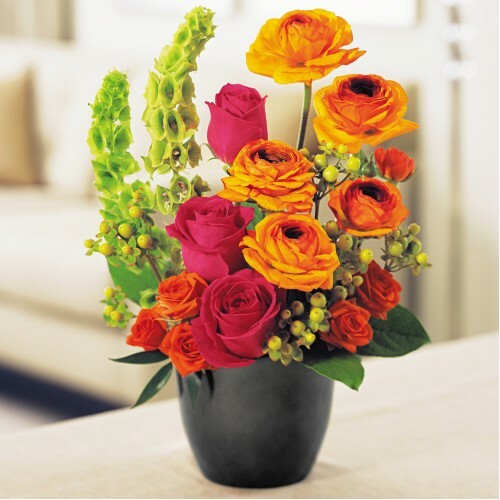 This delightful little arrangement has all the bells and whistles for Fall. 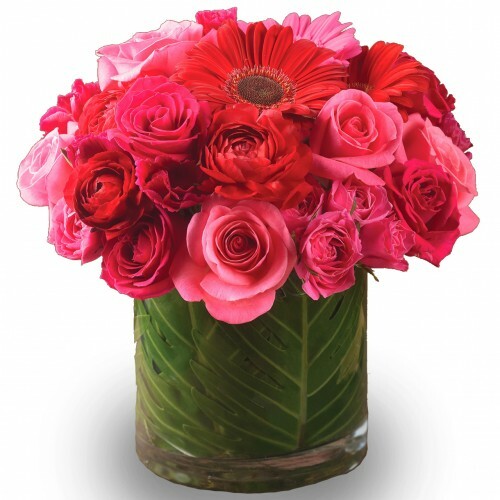 A beautiful assortment o.. 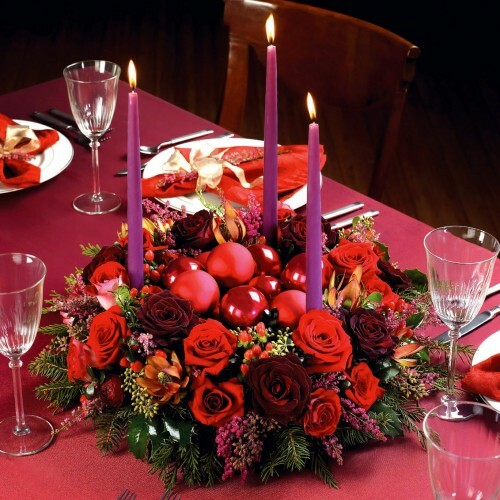 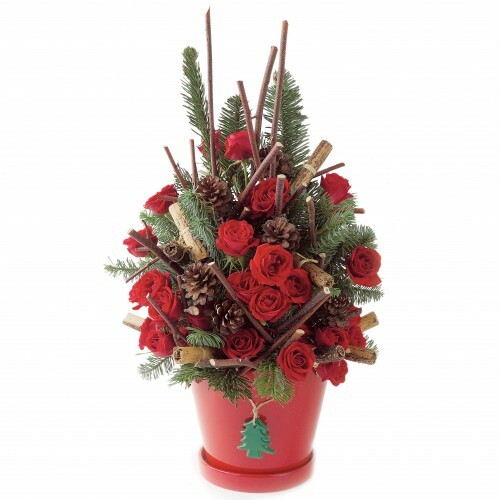 The "Christmas Joy Centerpiece" is the perfect floral statement for your Christmas dining table in y.. 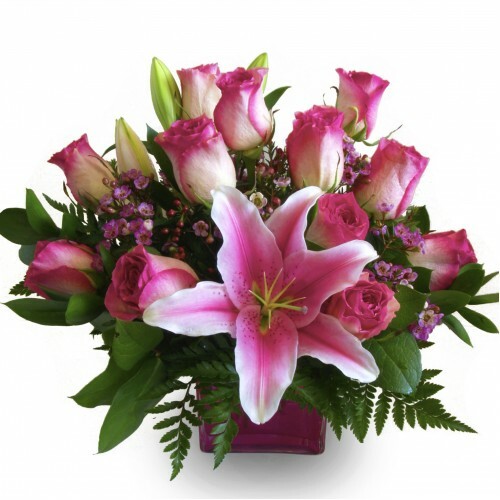 Celebrate all things pink with our "Pretty in Pink" floral arrangement! 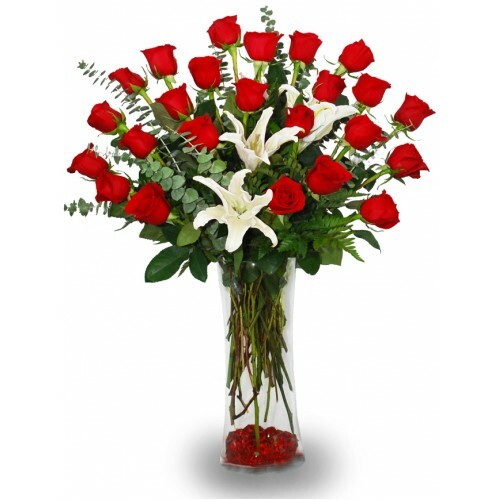 The beautiful flushes o.. 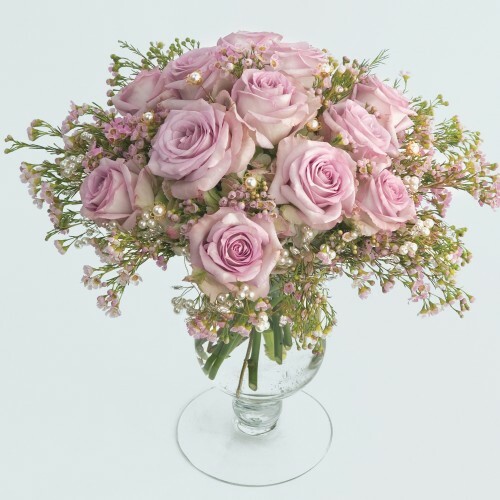 The “FALLin’ for You” arrangement is just the thing to give to that special someone to let them know..
Our serene pastel roses are charmingly sweet, fit for a wedding, birthday, or just because..
Let your love be true! 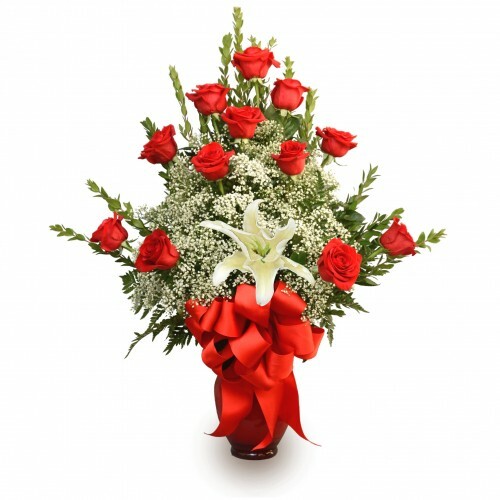 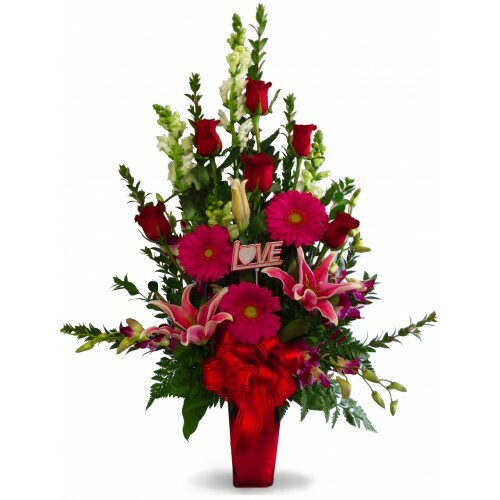 Drop off our captivating "True Romance" floral arrangement at her o.. 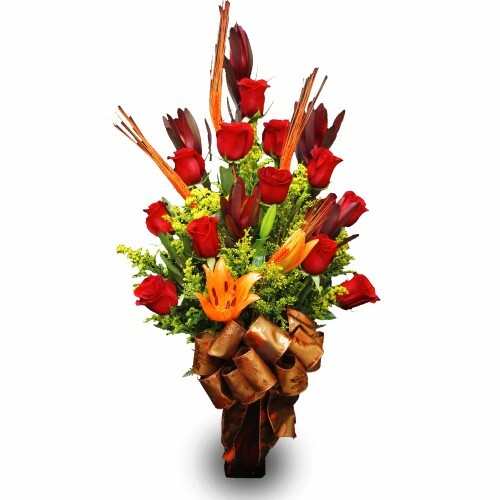 This arrangement is classic, yet exquisite. 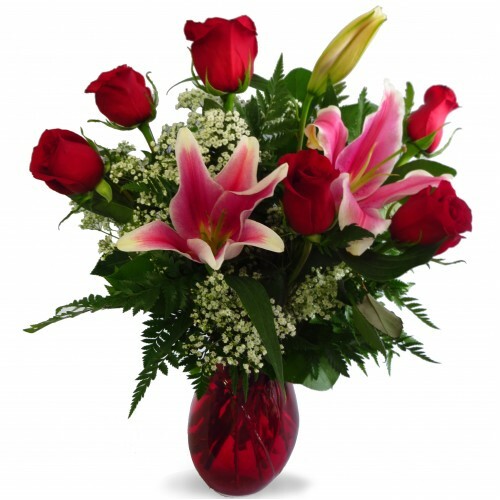 Fascinating, yet gorgeous and rich i..
Our "Charmed Blooms" arrangement is a wonderful assortment of flowers that bloom beautifully fo..
Similiar to our "True Elegance" floral arrangement, "Deeply Desired" shares the depths of your devot..
Our gorgeous "Stop Staring!" 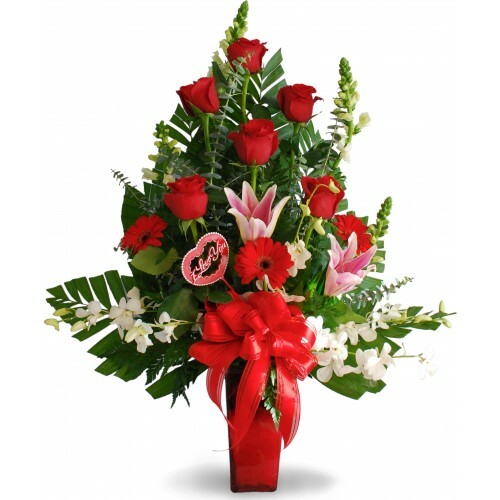 floral arrangement is truly a perfect blend of simplicity, eleganc..
How deep is your love? 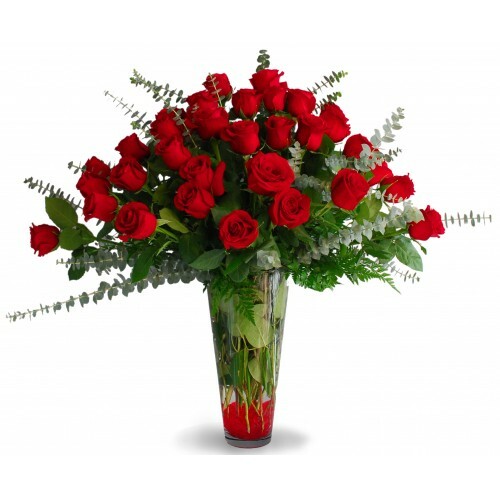 Leave her breathless with our classic bundle of red roses that spea..